In order to derive the output impedance consider the circuit shown in Figure below. 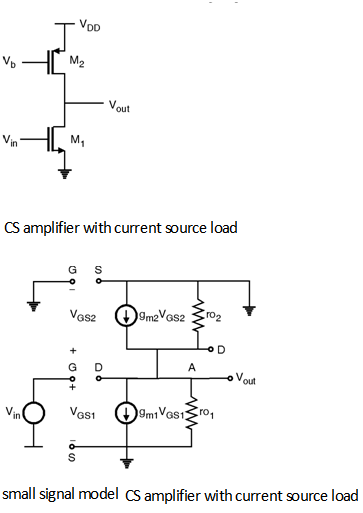 \ Hence the output impedance of current source load of CS amplifier is ro 1 || ro2. Subscribe to electronics-Tutorial email list and get Cheat Sheets, latest updates, tips & tricks about electronics- to your inbox. Copyright 2018 electronics-Tutorial.net. All Rights Reserved.